We don't have a new Duke Nukem game on the horizon, unfortunately, so what's a fan to do? Make their own, of course, with a VR twist! 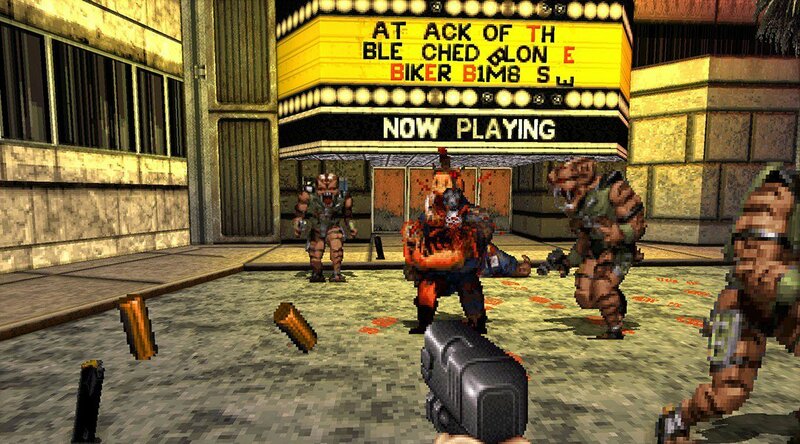 Granted, this VR update for Duke Nukem 3D can't truly be classified as its own new game, but it's even cooler. Serious Duke 3D is a partial remake of Duke Nukem 3D that graciously includes full VR support. From Syndroid, it's a fanmade mod of Serious Sam 3 that gives us a render of Duke with assets yoinked from the fast-paced shooter. So, yes, technically it's a Serious Sam mod, but that doesn't make it any less rad. Syndroid has offered four level co-op and single-player options if that strikes your fancy. You can try out the first four levels of the game, and there are two more on their way for the L.A. Meltdown chapter. Syndroid isn't sure if there's going to be a remake of the second episode just yet, but hey – anything can happen, so always bet on Duke. Check out the work above in the clip and let us know if full Duke Nukem VR is something that would be right up your alley.